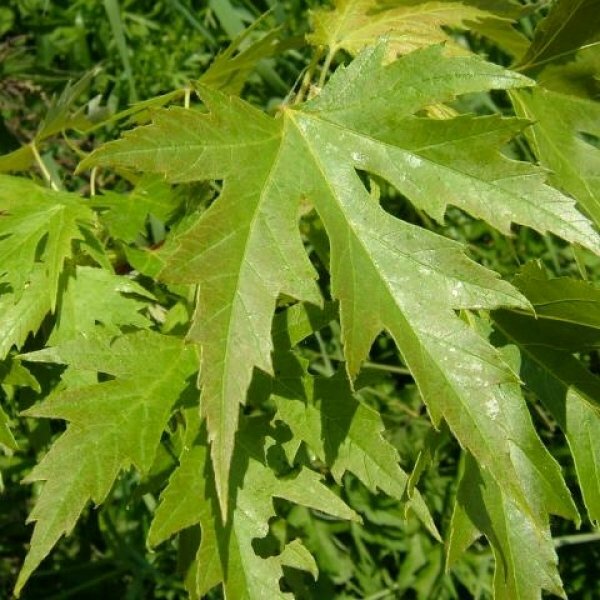 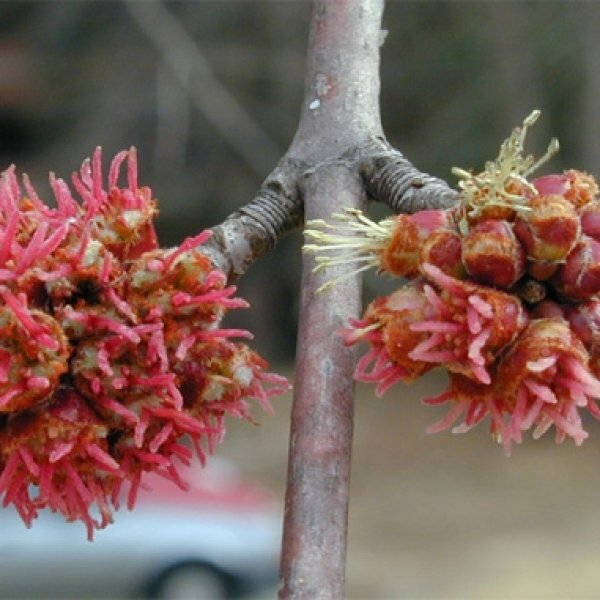 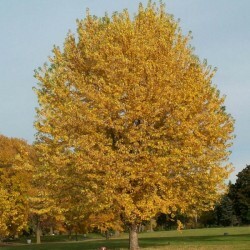 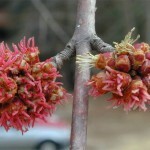 Silver maple is a fast growing large open shade tree that is native to eastern North America. 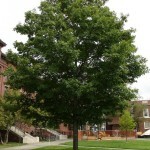 It has an oval to rounded canopy and narrow branch crotches. 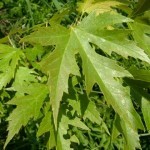 Its medium green leaves have silver undersides and may change to yellow or yellow-brown in fall.